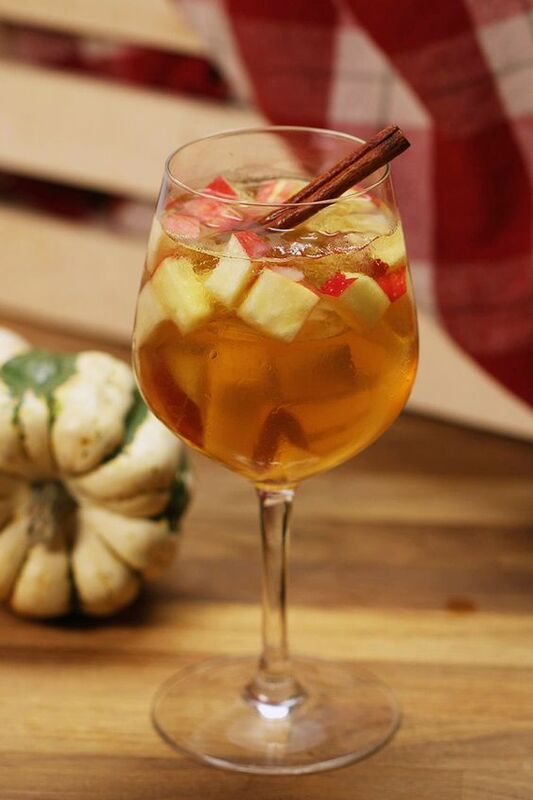 This Tasty Tuesday is for an amazing drink that is perfect for fall – Apple Cinnamon Fall Sangria! Chop the Apples and Pears. Combine in a Large Bowl. Pour the Cinnamon Whiskey over the Fruit. Cover and Soak for 2 Hours. Add the Bottle of Pinot Grigio, Apple Cider and Club Soda. Mix Well & Serve over Ice. For a How-To video, click the link below for more information from Buzzfeed.